PHOTO ALERT: This post has ton of Holiday photos, don’t look if you don’t want to feel the spirit of Christmas. You may have heard the name Ekenäs before, but do not confuse the IKEA furniture named Ekenäs with the real deal. The Ekenäs Castle (Ekenäs slott in Swedish) is one of the best preserved renaissance castles in Sweden with its three impressive shingled towers and annual jousting tournament and Medieval festival where you can still feel like in the medieval times. 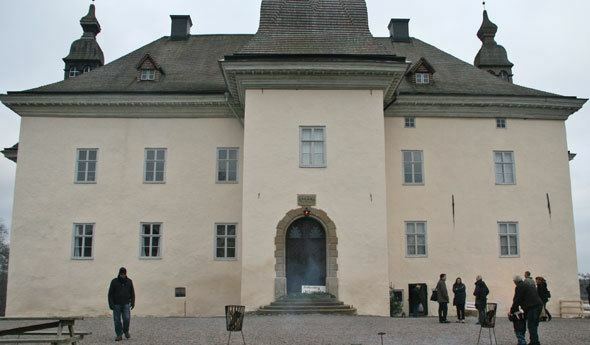 The Ekenäs castle is located outside city of Linköping in Östergötland, in South-East Sweden, only 20 minute drive from our home. 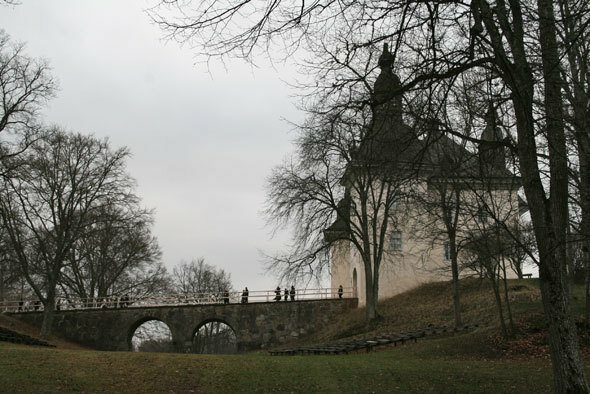 The Ekenäs castle is a privately owned castle, but visitors are welcome year-round, however, the castle itself is only open during the summer and the guided tours are only held during the summer visiting hours. 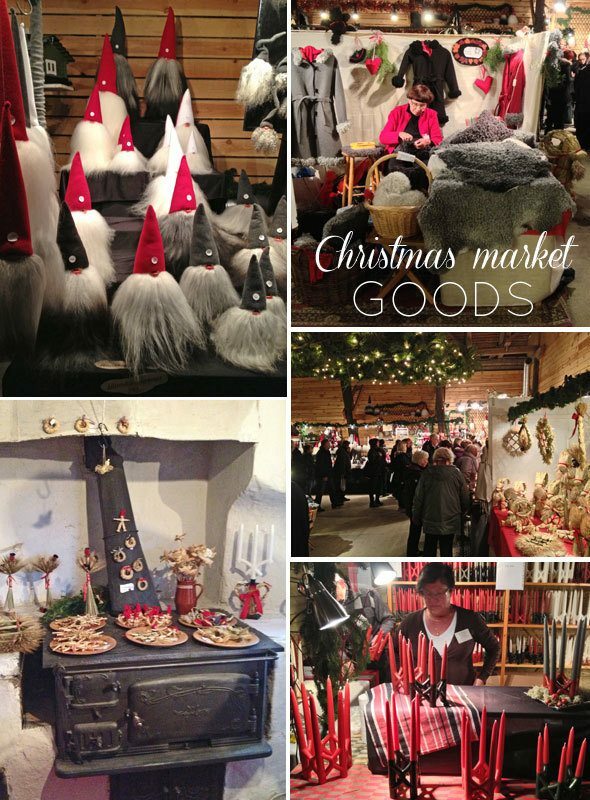 During Christmas time, the Ekenäs castle hosts a Christmas market, and bus-loads of people from all around Sweden gather to shop for Holiday foods, handmade Christmas gifts and drink hot mulled wine, glögg, and enjoy Christmas music and horse rides. There is around 11 dollar entrance fee to get to the Christmas market (children are free), but it is so worth it. 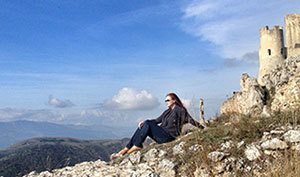 This year the snow hadn’t come yet, and the weather was nice and crisp for walking around the castle grounds and shopping for artisan products and eating the Holiday treats. Speaking of the holiday treats, let’s get down to the Holiday foods found at the market right on the start. You typically find roasted nuts, preserves and jelly and assortments of holiday candy like fudge in every Christmas market. 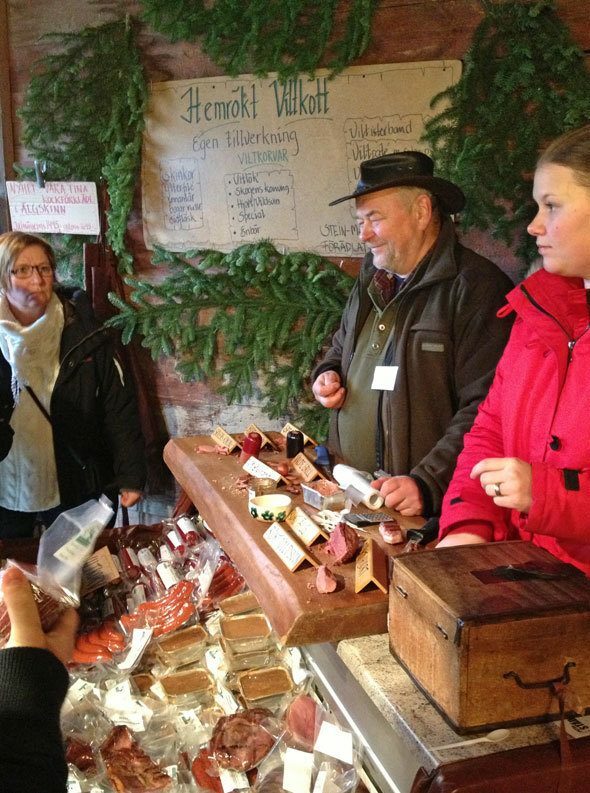 The Swedish Christmas markets are bountiful in their food assortments and in addition you can find fresh artisan bread, smoked salmon, sausages and ham, and mustard to accompany your Holiday ham. 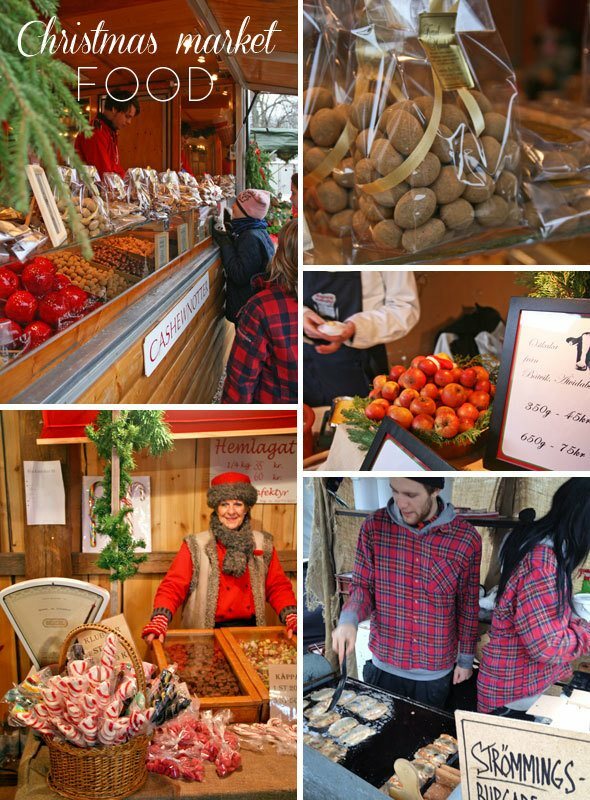 In addition to the best fudge you’ve ever had you can find handmade peppermint sticks, marzipan and licorice. The best about all this food: you will get to try it all. All food vendors give out food samples and you can get teased by these amazing flavors and then stuff your shopping bags with the Holiday treats. In addition to the food vendors who were selling their goods at the booths set up in the castle barn, they had several different locations for coffee and cake, or for other lunch options like fish hamburgers or hot dogs. Scandinavian Christmas isn’t complete without mulled wine, glögg, and you can buy that too in several flavors (like chocolate, pear, berries and whiskey). 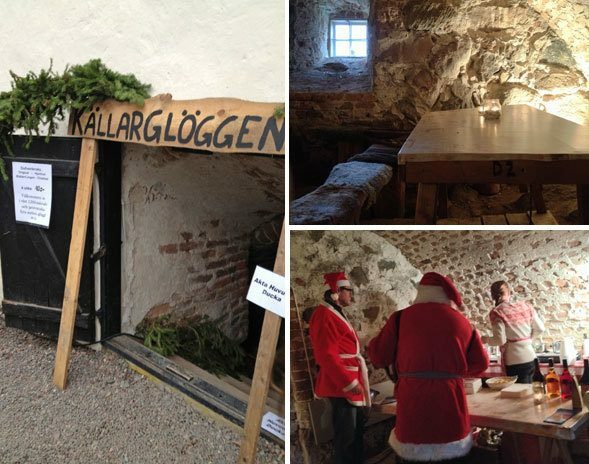 In the castle cellar you can get glögg tasting and try the different glöggs with saffron biscotti. There are some handmade craft markets where I feel shame for the sellers for the products they sell… and then there are European craft markets. 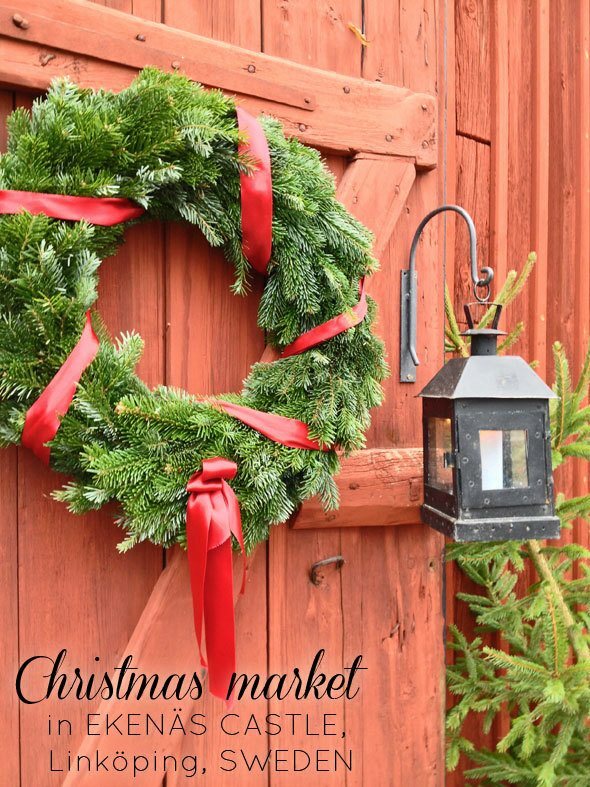 You could find gifts for everyone in your list at the Ekenäs Christmas market. 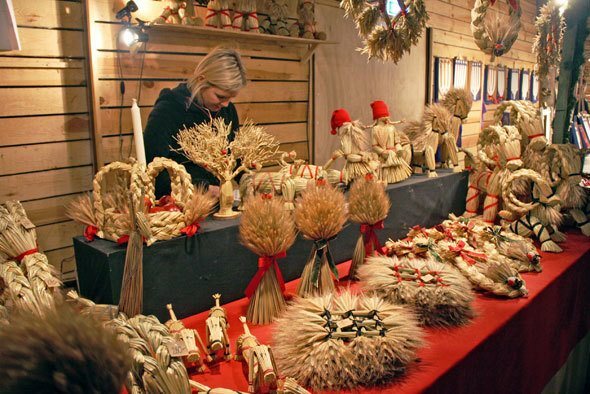 There were of course plenty of traditional Scandinavian Christmas ornaments made out of straw and elves and trolls in all shape and material. The quality of the handcrafted cutting boards or fruit bowls was amazing, and the wooden toys were still made like decades ago. Lamb skins and slippers made out of felt, knitted socks and gloves and crocheted scarves. And the gorgeous candles made in unbelievable shapes. Booth after booth handmade artisan products. The craft booths were set inside a dark barn or inside the castle’s dark interiors, where there was no electricity and the light was set up with the help of generators. You really felt like you were transported back in time when shopping in the dark. 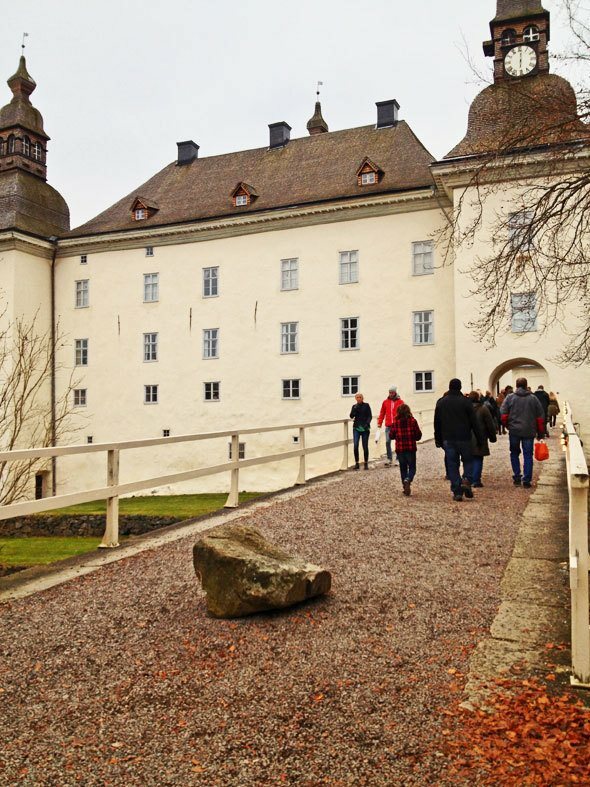 If the foods and the goods didn’t get you hooked yet – the ambiance in the castle and the beauty of Swedish countryside does. You can smell the burning wood in the fire pits mixed with the scent of roasted nuts while you watch children horseback riding and listen to live Christmas music. 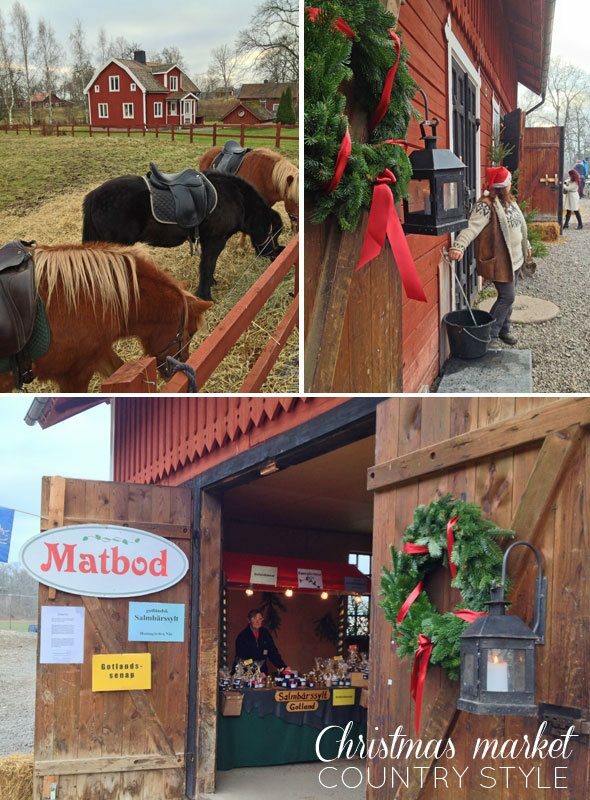 The Christmas market in the countryside is equally a romantic Saturday date destination as well a family attraction. 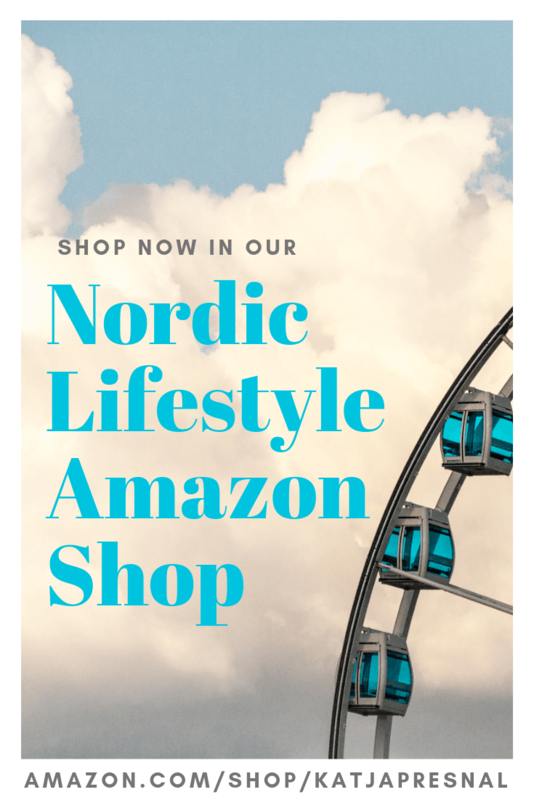 Simply said – you can’t help but feel the spirit of Scandinavian Christmas. 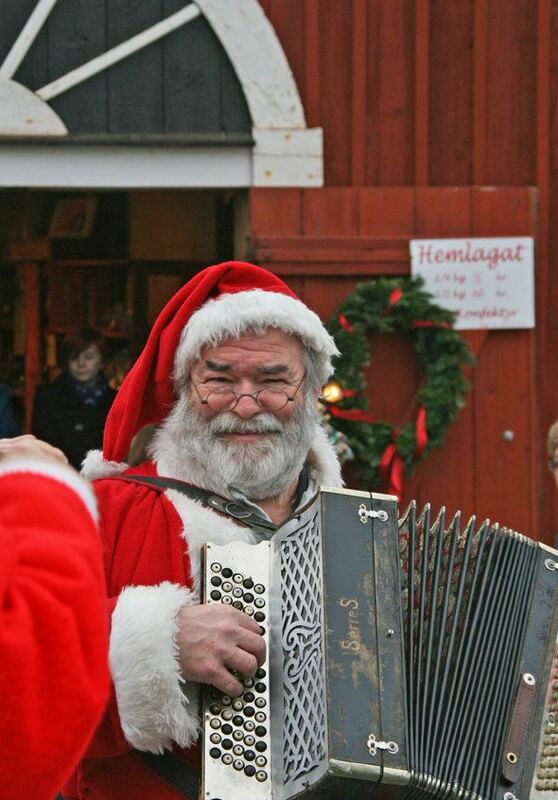 What we learned this year – Linköping has it’s own Santa. We saw this same white bearded Santa playing music in every single Christmas market we visited this year, and at the mall and the town center. I literally felt the past 6 weeks that this IS the real Santa and he just keeps following us. 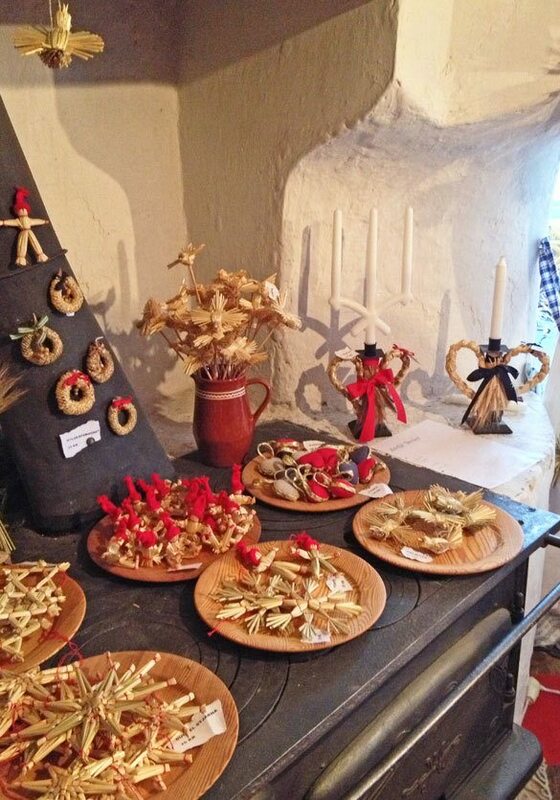 This is just one part of Scandinavian Christmas magic, I hope you visit us the next year and come and see it yourself. It looks like it would hard to be Grinch-y there! such beautiful pictures!! 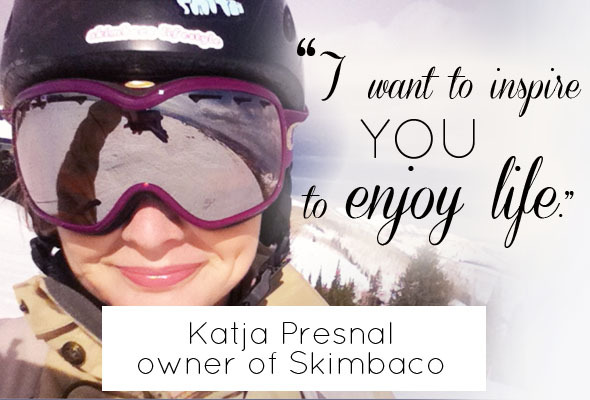 thanks for sharing Katja, it’s fun to see pics from other countries, especially during holiday!